So the starting point is a familiar one: having technology (in this case, KMStandards) parse a database of contracts. See for example this 2015 post on a Bloomberg product that performs that sort of function. That can be valuable, although in my experience it can generate a lot of noise. But the Wolters Kluwer product layers an editorial function on top of the technology. That’s for the best, because this sort of technology is in fact unintelligent. All it does is tell you what’s in the corpus being examined. It can’t tell you what’s good or what’s relevant for your purposes. So the technology is a brute tool that can be used for good or for ill. See this 2012 post on KMStandards (under another name) being used for ill as part of the ACC’s Contract Advisor. Ultimately, the quality of the editorial control will determine the quality of the product. Excuse me if I’m skeptical. For one thing, those who are wielding editorial control are described as “M&A attorneys.” It doesn’t get any more generic than that. Using someone else’s contract language requires a leap of faith. If I’m going to make that leap, I’d like to know whom I’m relying on and what their credentials are. 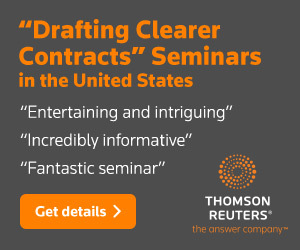 M&A drafting is notoriously conservative, so in the absence of knowing more about who is providing editorial control, I suspect that this product will provide generic M&A content. You can expect to be offered “double materiality” language, even though it’s a figment of practitioner imagination. (See this 2013 post.) 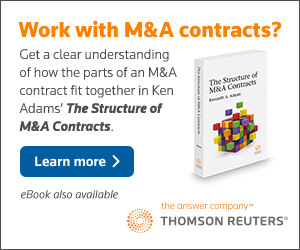 And I suspect that other issues I discuss in my book The Structure of M&A Contracts won’t be flagged. So the technology is unintelligent, and the quality of the editorial control is uncertain. 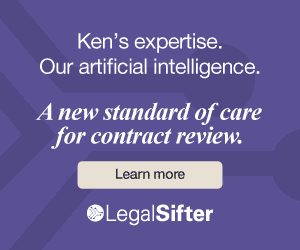 If like most M&A practitioners you’re willing to accept generic content, this product might well be exactly what you need. If you’re more discerning than that, you might want to tread carefully.